After years of languishing in development hell, 20th Century Fox has finally decided to move forward with a Deadpool movie. Long expected to be a low-budget R rated outing full of violence and foul language, a new report backs up claims from July that this version will be rated PG-13, and that's the reason behind it finally getting made. 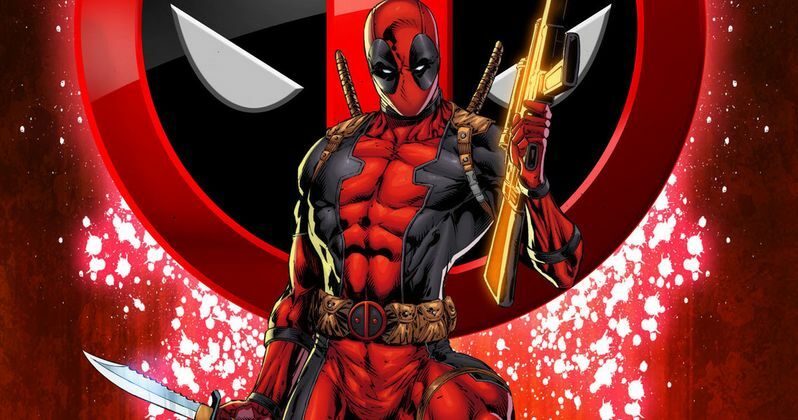 It was long assumed that Fox was struggling with their decision to make Deadpool PG-13 or R. It is being reported now that the only reason director Tim Miller got the go-ahead from the studio was because writers Rhett Reese and Paul Wernick were able to find a way to make the film PG-13 without losing its dark tone and sense of humor. The film will definitely push PG-13 to the edge. "I heard from the director that they finally figured out the script, and it was right before this was announced, that they figured out, and you guys are all gonna hate this, they figured out how to make it PG-13. And therefore "not lose its soul", and that' a quote, of the script so that they can make it." This may seem like old news to some, as creator Rob Liefeld tweeted back in July that the film was going to be PG-13, and that there never was any conversations about Deadpool being R rated. That was never even a possibility. But, he says, there will be an unrated director's cut that will stand as a more 'R' rated version of the film sometime after its initial theatrical release. The brilliant screenplay has been equally brilliantly modified.... R is not a blockade any longer. Also, please understand that I would LOVE nothing more than an R rated Deadpool, mainly for bloody violence, thats just not a reality.